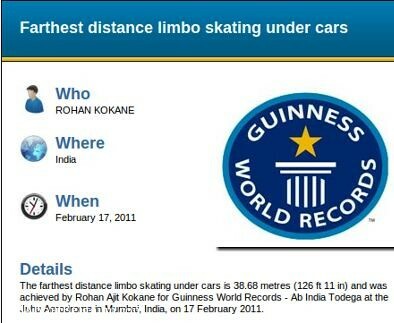 The farthest distance limbo skating under cars is 38.68 metres (126 ft 11 in) and was achieved by Rohan Ajit Kokane for Guinness World Records – Ab India Todega at the Juhu Aerodrome in Mumbai, India, on 17 February 2011. 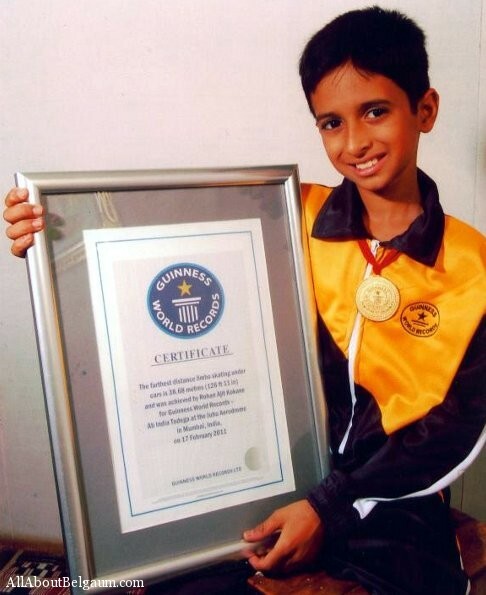 Rohan has trained himself under Belgaum roller skating Association. 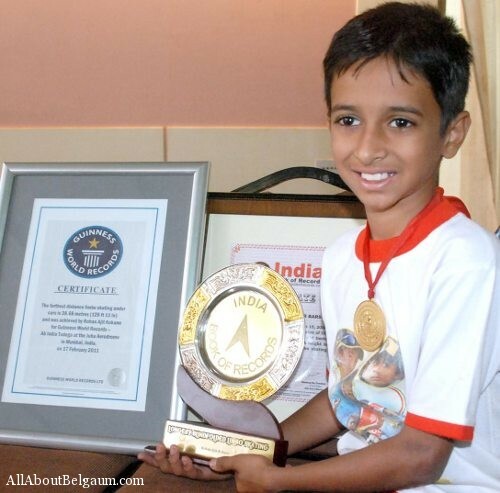 Rohan was awarded the 90 gram Gold medal and a certificate after he achieved this fete. Ajit, Rohan’s father is now proud of his child and even in unprecedented circumstances. Ajit has a electrical store in Ganpat Galli but he did his best to get the best for his child so that his dreams could be made true. He also never forgot to mention all those philanthropists who helped Rohan to reach this place. voooow its pleasure, amazing, wonderful and many more, words r not enough. show this to our lazy people and let their eyes open to do some goodness.